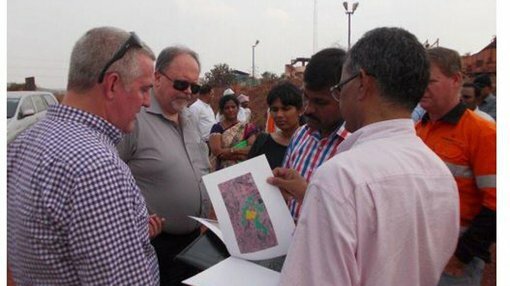 NSL Consolidated (ASX:NSL) continues at pace in advancing the development of its iron ore business in India. NSL recently played a prominent role in an economic working development group hosted by the government of Andhra Pradesh (GoAP). Attending the workshop was NSL chief operating officer Mr Sean Freeman who was in exalted company with the Consul General to South India Mr Sean Kelly and key members of GoAP and the Kurnool Municipal Corporation. The workshop was held in Kurnool City. GoAP has a 15 year plan for the district, with Kurnool, which has a population of 4 million, heavily involved in an urbanisation program. During discussions NSL was singled out as an “Anchor Company” for promoting the potential for future investment into the District. NSL presented its Company Corporate and Social Responsibility Plan for the State and touched on key platforms including healthcare, education and skill development, agriculture and water management and sustainable employment. Having recently signed a MoU with GoAP, NSL is in a strong position to deliver these objectives. The MoU sets NSL up to produce in excess of eight million tonnes per annum of iron ore in the newly formed state. The MoU also includes the constructions and operation of a centralised pellet plant. Through this collaboration, NSL would create 1800 company jobs and another 1000 supporting jobs. The AP government has also committed to the development of the Orvakal Mega Industrial Hub within the Kurnool District, just 30km from NSL’s existing operations. This 28,000 acre hub includes access to all vital infrastructure including an airport. Following the workshop the group the group moved to NSL’s Phase One operations where Mr Freeman conducted a briefing with regards to the construction of the Phase Two plant. GoAp has allowed for a bypass road to be constructed around the Phase 2 wet beneficiation plant. This plant will be under part supervision of Design Tribe (India) Pvt Ltd (DTPL), who will be the lead engineers. NSL and DTPL have been working closely together for the past three years and delivered Phase One on time and on budget. NSL is confident that the project remains on schedule for Commissioning during the third quarter of 2016.